Ahead were three huge pits dug deep into the ground. In each a fire was raging. Around the flaming pits naked men were running in an endless circle…. Quickly father grabbed my one hand and Lajos the other. Together we continued the race around the pit of death. Crematory building No. 5 (Krema V) in Birkenau. Mel Mermelstein has repeatedly claimed to have witnessed his mother and sisters being driven into a “tunnel” to a “gas chamber” here. 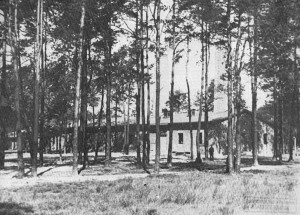 In fact, this structure is entirely above ground, and has no “tunnel.” Because it was surrounded by trees, it was called the “forest crematory.” (From: Auschwitz Chronicle , p. 368). On November 1, 1989, attorney Mark Lane questioned Mermelstein about these flagrant discrepancies. It is safe to say that this “eyewitness” has never been subjected before or since to such a dogged grilling, nor perhaps has any other self-professed Holocaust witness. The end result of several dozen pages of question and answer was, not, as one could expect, elucidation, but rather contradiction heaped on contradiction, all devastating to Mermelstein’s credibility: he did and he didn’t drag bodies; there may have been bodies in the clothes that he dragged to open pits; he might have but probably didn’t drag bodies from the gas chambers. Mel Mermelstein in the witness stand. Q. Are you telling me that you do not recall if you hauled bodies from the gas chamber? A. Not [sic] – I saw too much. Q. Is it your testimony that you don’t remember whether or not you hauled bodies from the gas chamber? A. I don’t remember. Okay? I don’t know specifically the way you put it. Okay? But I know I was there. Q. I’m asking you if you were part of a special detail and if part of your obligation on the special detail was in any way related to the gas chamber. To be part of a special detail, and that was, from time to time, you were pulled to do different things. There were days when we dragged – just looked like – it looked like a heap of clothes. And within these clothes, probably – and it was to have been dropped into the pits. Within those clothes and other items may have been some bodies as well. Spoken like a real eyewitness. According to Mermelstein, his embarrassment springs from having seen too much, not too little. When, under challenge, his memory seems to fail him, it is enough that he was there. Q. Did you ever see any of that soap allegedly made from the bodies or fats of Jews? A. That’s what we were ordered to use in the death camps. Q. Was there some sort of insignia or initial on that soap? A. I don’t remember that. All I remember was the color of it was yellowish, and we knew that it was made out of humans. Yes. Q. You heard it from other inmates; is that right? There was a rumor floating around the camp that the soap was made from Jewish bodies; is that correct? A. That’s correct. That was not a rumor, it was an established fact. 39. 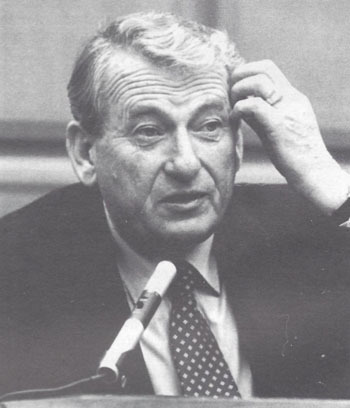 E. Koch, “A Wall in Auschwitz,” New York Post, February 9, 1987, p. 19, and, E. Koch, “Auschwitz Still Haunting the World,” Staten Island (New York) Advance, February 23, 1987, pp. A1, A10. 40. Deposition of Mel Mermelstein, Oct. 23, 1967, p. 1. A copy is in the Auschwitz PMO archives. 41. Mermelstein interrogation protocol, given at the German General Consulate, Los Angeles, November 13, 1969, p. 1. (“keine Beschäftigung”). 42. Mermelstein deposition, May 27, 1981, Los Angeles, transcript pp. 68, 77. 43. Deposition of Mel Mermelstein, November 1, 1989, reported by S. K. Farwell, in the case of M. Mermelstein vs. LSF, IHR, Liberty Lobby, et al. (2nd case), transcript pages 201, 202, 203, 204, 205, 207. 52. Mermelstein deposition, May 27, 1981, Los Angeles, transcript p. 40. 53. M. Weber, “Jewish Soap,” The Journal of Historical Review, Summer 1991, pp. 217–227. Revisionist Friedrich Berg once stated that the most cogent arguments against the Holocaust Hoax are technical. This is quite true, especially with regards to the Auschwitz story whose technical impossibilities have often been pointed out by revisionist researchers. But, in discussions with believers in the official version of the events, revisionists regularly discover that the technical arguments advanced by them fail to convince their opponents. This is understandable. Very few people know anything about the qualities of Zyclon B or the capacities of crematoria ovens, and acquiring the necessary knowledge requires a certain amount of effort and time. Rather than making this effort and investing the necessary time, anti-revisionists find it much more convenient to accuse their adversaries of resorting to “pseudo-scientific arguments” – a killer phrase often used by the media to revile the revisionists. On the other hand, there is an argument which is so easy to understand and so irrefutable that it cannot fail to impress any moderately intelligent person seriously interested in historical truth. (The fanatical believers in the Holocaust, who exclaim “My mind is made up, so don’t confuse me with facts!” need not interest us.) This argument refers to the part of the so-called “Sonderkommando” in the alleged Auschwitz Holocaust. If we follow the official version of the events, the name “Sonderkommando” was given to a group of Jewish prisoners forced to operate the gas chambers and the crematoria. When a new batch of Jewish victims were to be murdered in the homicidal “gas chambers” located inside the crematoria of Auschwitz I and Auschwitz-Birkenau, the Sonderkommando had to lead the victims into these buildings and tell them that they were going to take a shower. As soon as the victims had been herded into the “gas chamber,” the door was closed, and pellets of Zyclon B were dropped into the chamber through holes in the ceiling. Shortly after the death of the victims, the Sonderkommando opened the door and dragged the corpses to the crematoria ovens where they were subsequently burned. In other words, the Sonderkommando played an absolutely essential, indispensable part in the logistics of the Auschwitz Holocaust. Without these Jewish slave workers, the extermination would have come to a standstill immediately. “After four months, when they have seen too much, they are liquidated. Since the foundation of the camp, every Sonderkommando met this fate.” (Miklos Nyiszli, Im Jenseits der Menschlichkeit, Berlin 1992, p. 24). “One has to ask oneself why the Sonderkommando members of all people survived, although they are the best witnesses to the Nazi atrocities. […] Why were the Jews who had taken part in the gassings not liquidated? After six million Jews had been killed, a few hundred more would have made no difference” (p. 10). Who do the Holocaust historians take their readers for? Do they perhaps think they are all idiots? So the Sonderkommando story is utter rubbish and the official Auschwitz story, which is based on this rubbish, is nothing but a monstruous fraud. It just requires a minimum of intellectual honesty to come to this conclusion. The material for this short article is partly taken from Juergen Graf’s booklet Von einem, der auszog, um den Revisionismus zu widerlegen: Raphael Ben Nescher und sein Buch ‘Holocaust-Revisionismus: Ideologie oder Wissenschaft?’ which will be published in Switzerland in a couple of months. “They [the Germans] levelled the mounds of so-called “old” mass graves in the Eastern area 1, blew up and destroyed the traces of their electrical conveyor belt (eljektrokonvjeijera) where hundreds of inmates had been killed simultaneously by electrical current (eljektriceskim tokom), after which the bodes were placed on a conveyor belt moving slowly towards a pit furnace (sciachtnuju pje)2, where the bodies were burnt completely” 3. “As I already said, I belonged to the working party responsible for unloading the ‘stiffs’ at the station. At that time, we never had any contact with the inmates from the big camp. We were put into quarantine separately, but we were housed together with another working party doing service in the crematorium and gas chamber. That’s why I know what happened [there]. The men and women went into the so-called shower area and got undressed separately, to avoid panic. “I never personally saw the trollies for transporting the bodies, nor did I see the ovens in action, but, as I have said, some of the working parties working in the gas chambers and ovens lived with us and they told me these details. This special group was called the Sonderkommando (special commando). I personally know a certain Jacob Weinschein 6 from Paris, who is a survivor of this commando” 7. “800-900 metres from the location of the furnaces, the inmates departed on trollies travelling on rails. These rails, at Auschwitz, were of varying dimensions and contained from 10 to 15 persons. When it was loaded, the trolley was placed in movement along an inclined plane, where it then entered a gallery at high speed. At the end of the gallery, the trolley smashed into a wall. This opened the wall automatically, and the trolley tipped, dumping its human cargo of living beings into the furnace. The trolley was then followed by another, full of another group of inmates, and so on.” 8. “the floor tipped upwards, causing the bodies to fall onto a conveyor belt which carried then to the crematorium” 9. “According to the report of an SS employee at the electrical chambers (przy komorach elektr. ), the number of victims killed daily officially amounted to 2,500 per night. They were killed in the electrical bath (w a ni elektrycznej) and in gas chambers” 11. “Section XVIII (Jewish) was equipped with a gas chamber and a factory manufacturing grease for machinery. K.J. declares that he had seen how the Germans there transformed the bodies of the gassed Jews into grease, which was then shipped off in packages labelled “Schmierstoff-Fabrik Auschwitz” [Auschwitz Lubricant Factory]. “Inside the barracks, they must undress immediately on the pretext that they are are going to take a bath. They are even given towels and soap. After their shower, they are supposed to receive underwear and clothing. When the chamber is full, the doors are closed and the gas is emitted through openings designed to look like shower heads (i przez otwory w formie pryszniców wydobywa sigaz)” 19. “Upon arrival, all the men who were still able to work were sent to the work sites immediately. The others, women, children, old people, were sent to the showers. They were taken into a splendid, modern building… But, instead of showers of warm water, which would have refreshed their tired limbs, they received a spray of toxic gas: and in a few instants, there was nothing left but bodies, piled up against the doors through which they had attempted to flee – the bodies of mothers with their children in their arms, or old people clutching their spouses in a supreme gesture of protection” 21. “I heard one of them say, ‘Crematorium’. We continued marching through the camp, between two rows of barracks of a type quite similar to those of the last camp. When we got to the end, they made us turn left and then made us enter a barracks in semi-darkness, all eight hundred of us. Night had already fallen. In the middle there was a stove that had gone out and three ship’s buckets of zinc. Suddenly, they turned on the lights and we saw that we were in a sort of shower room. There were twenty shower heads on the ceiling. […]. This room, the antechamber of the crematorium, was the gas chamber […]. No doubt of it now. I had heard talk of the system: they put a white layer of potassium cyanide powder underneath the shower and then suddenly turned on the water. This caused the release of deadly poisonous cyanide gas. Then the clerk [sic] entered with a mask on his face, sprinkled the powder, turned on the shower, left, closed the door, and after ten minutes they were all dead, asphyxiated. At the other end of the room was a high door which was said to lead to the crematorium by means of an inclined plane. […]. 4 Gjermanskij “lagjer’ smjerti” v Pol’scje (German “Death Camp” in Poland). “Pravda”, 24 March 1944, p. 4. From AUSCHWITZ – 27 JANUARY 1945 TO 27 JANUARY 2005: SIXTY YEARS OF PROPAGANDA by Carlo Mattogno, translated into English from the original Italian for jan27.org by Carlos Porter. 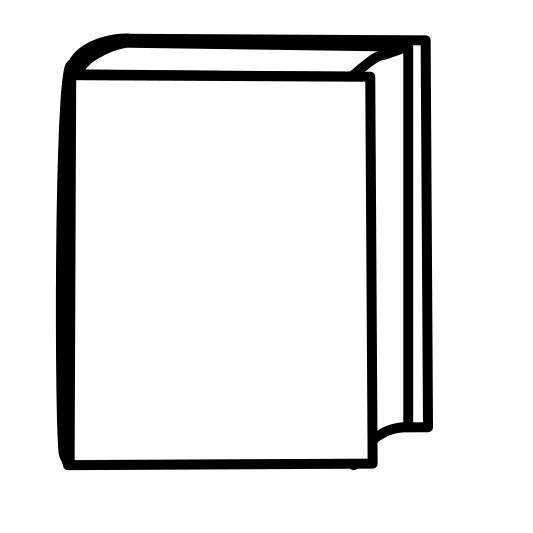 The entire book is archived on this site: HERE.